Bills are mailed at the end of the month for that month’s service. Payment is due by the 10th of the month. After the 10th of the month, a 10% late fee will be added to your account”. If the account is not paid in full by 20th of the month, service will be disconnected and a charge of $50.00 added to the account. Bills must be paid in full to restore service. Service restored between 3:00pm and 5:00pm, Monday through Friday will be charged an after hours fee of $25.00. Water service will not be restored after 5pm or on weekends. Failure to receive a bill does not avoid payment. We are not responsible for U.S. Mail. DROP BOX is available in the Drive Thru for your after hour’s payments. We accept payments online or you may call in your credit card payments. There will be a $2.50 convenience fee for each credit or debit card transaction. Monthly Auto Bank Draft is also available for your convenience. 4/24/19 The Boil Water Notice has been lifted. 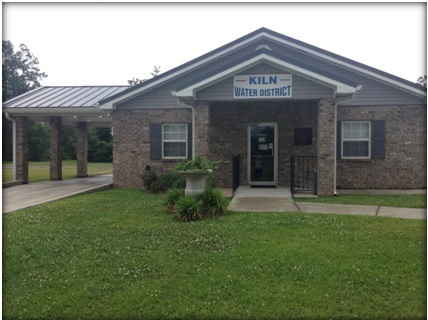 Kiln Utility & Fire District Monthly Board Meeting has been rescheduled to May 1st, 2019 from May 8th, 2019.